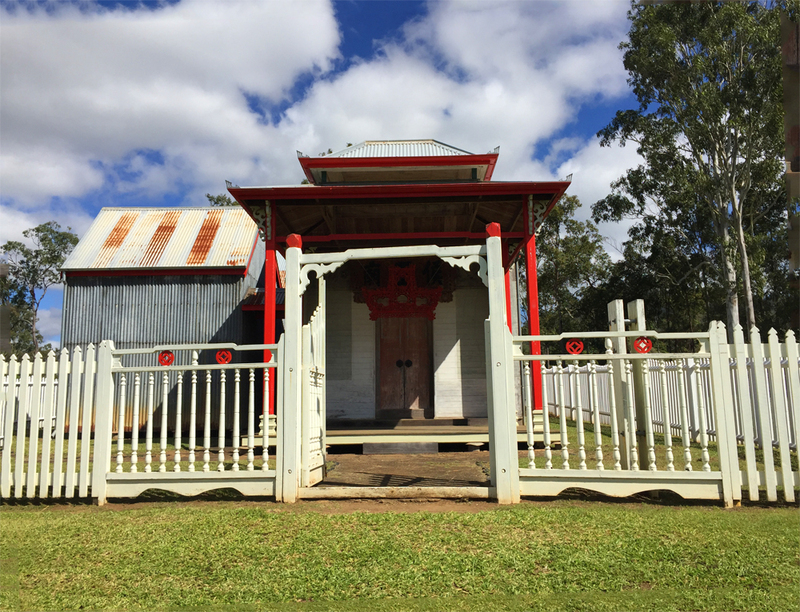 Hou Wang Miau is an authentic Chinese Temple in Artherton and was constructed back in 1903. 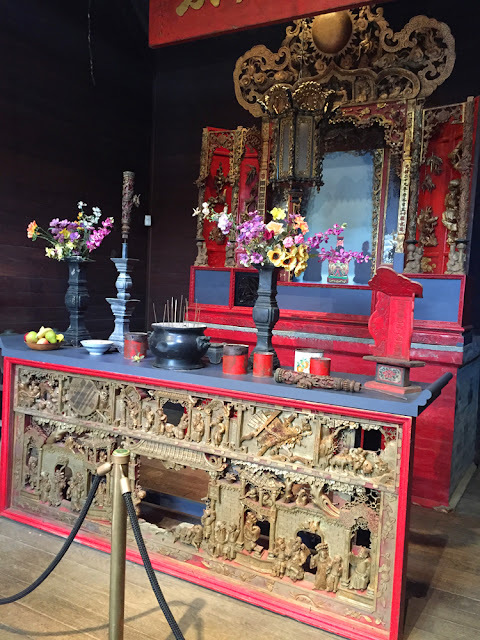 The temple's simple exterior, constructed of local timbers and corrugated iron shipped from England would have hidden the rich and evocative atmosphere of the inside with its original carvings, painted metal wall panels, and furnishings imported from China in the late 19th and 20th century's. 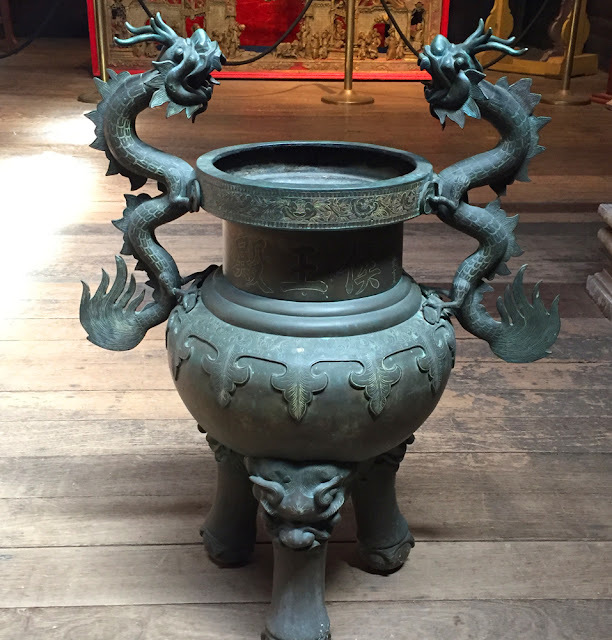 Many of the original artefacts which were removed from the temple in the 1960's have since been returned. Standing inside the temple I felt surrounded by the ghosts of the past and the peace this temple would have provided them. 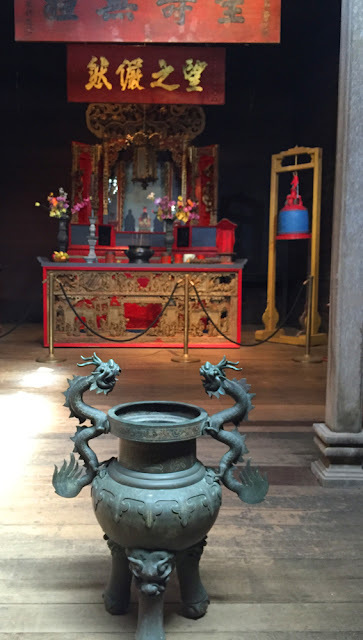 In the early 1900's the temple was in the middle of Athertons Chinatown. The Chinatown consisted of a Main Street lined with small timber and iron shops and houses. Although there was nothing allowed to be built opposite the Temple. 1909 saw the area as the social and commercial centre for over one thousand Chinese people living in the Atherton district. The majority of the Chinatown population were male as shown in one of the early census with the total population in Main Street being 404, which was made up off 400 male and 4 female. 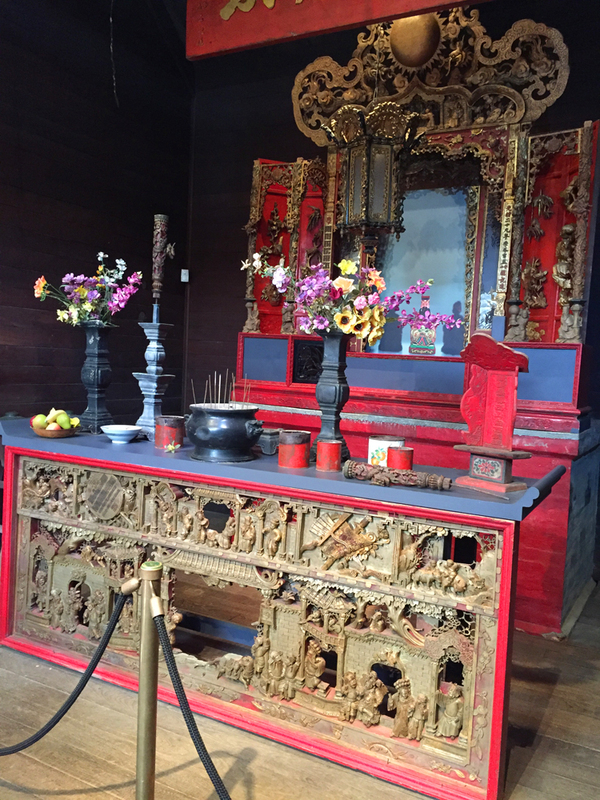 "This temple is dedicated to the deity Hou Wang, who in real life was a man called Yang Liang Chieh, an uncle and Commander of the Bodyguard of Ti Ping, the last Emperor of Sung Dynasty in China. He was deeply revered for his brave deeds during the Mongol invasion of 1280 and eventually he became worshipped as a deity. "